Please see below for sample of our current services. Base pricing and additional features can be found on our Rates page. If you don't see the service you are looking for, please feel free to Contact Us to discuss further. The core of our business focuses on interior and exterior still photography for local real estate agents. These images appear online and in marketing materials for each listing. They are the agent's first opportunity to sell the home to a potential buyer. With 9 out of 10 property searches beginning online, professional photography is essential. After photographing a property, we also do all of our own post editing to ensure the property is represented accurately, but in its best light. Want to make your listing stand out? We are FAA certified for Drone Aerial photography! 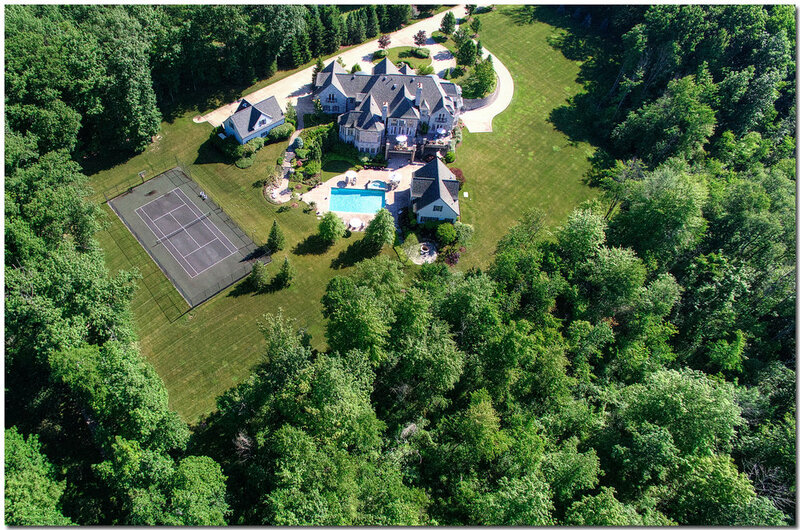 Our aerial photos are great for showing a full view of a property and its features. We provide this service as an add-on to our standard Interior/Exterior package, or as a stand alone product. Want to get more traction for a listing on a video platform? This service is just what you have been looking for! Our mixed media videos comprise of aerial video mixed with still interior and exterior photos to create a whole home package. Our professionally trained video producer will film, edit and add music to your video to make it pleasing to potential buyers. We will also add an opening and closing slide that includes the agent's information.